Between 1842 and 1861 more than 100 escaping slaves were helped to freedom in Canada by Wisconsin residents. But, because both the slaves and their helpers had to conceal their work, details of how fugitives passed through Wisconsin are scarce. Slavery was prohibited in Wisconsin under the 1787 Northwest Ordinance, which also founded our state. However, 1850 the federal goverment passed the Fugitive Slave Act, which forced all citizens to help return any escaping slaves to their owners. Anyone who refused to assist the authorities, or who helped slaves to escape, was subject to heavy penalties. The Fugitive Slave Act became a rallying point for abolitionists, who felt morally compelled to disobey it and so become criminals in the eyes of the law. The earliest escape of which we have record is that of 16-year-old Caroline Quarlls, who arrived in Milwaukee in early August 1842 and was secretly helped by Wisconsin abolitionists around Chicago, through Indiana, across Michigan and into Canada. The state's most famous incident was the liberation of Joshua Glover in March 1854 from a Milwaukee jail; he was conveyed out of the city by much the same route but boarded a steamer in Racine and landed in Canada. Also in 1854, an unnamed father and two children passed through Chilton to safety among the Stockbridge Indians. After repulsing their pursuers, the Stockbridge got them safely to Green Bay and then by ship to Canada. About 1855, the Rev. R.L. Cheney of Janesville assisted a family escaping northward on the road from Beloit. He saw them to Racine, where they embarked safely by steamer for Canada. At the outbreak of the Civil War, three escaping families were harbored in Beloit and remained there after the war. In early 1861 Janesville citizens rallied to drive away a slave catcher who had tracked down one of their city's residents. Facts about these events first surfaced the 1880s and '90s. 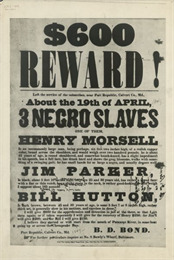 At the time of the escapes, both the ex-slaves and their abolitionist helpers faced severe consequences if they were caught. As a result, they created very few records documenting their illegal activities. For decades after the Civil War and Emanicipation, racism permeated American society to the exten that many participants feared to speak up about their activities before the war. But A.P. Dutton and Maximillian Heck of Racine later admitted that between 1854 and 1861 a number of that city's residents conspired to help fugitive slaves board steamers bound for Ontario, often taking up collections to cover their expenses. They recalled that most of their "passengers" came up the Illinois River to Chicago and then overland along the shore to Kenosha, Racine or Milwaukee. Others came up the Rock River to Beloit, then to Janesville, where the Tallman House was a well-known refuge, then to Milton, where the Milton House provided another safe house. Finally, the ex-slaves were transported across the prairie to one of the lake ports, where several ship captains were willing to conduct them to Canadian cities. Dutton estimated that more than 100 went by boat from Racine alone in the years before the Civil War. Abolitionist editor Chauncey Goodwin included a 75-page memoir in his family history, and other participants gradually wrote and published reminiscences. Historian John Nelson Davidson solicited letters from as many as he could find and printed these in small pamphlet issues in Milwaukee. Listed below are the main documentary sources for the Underground Railroad in Wisconsin, with live links to their texts. For teachers, a variety of lesson plans based on these sources are listed at the end. The earliest escape through Wisconsin's Underground Railroad for which we have evidence is that of 16-year-old Caroline Quarlls, who ran away from her owner in St. Louis on July 4, 1842, after being beaten. She came up the Mississippi River by steamboat to Alton, Illinois, and crossed by stage to Milwaukee, where she arrived in early August. Quarlls was hidden there briefly by sympathetic allies, but when authorities tracked her down she was spirited away to Waukesha, a town known for its anti-slavery radicals. In late summer she moved at night from farm to farm through Walworth and Racine counties until she was ultimately driven by a Waukesha man around Chicago, through Indiana and across Michigan, where she escaped from Detroit into Canada. 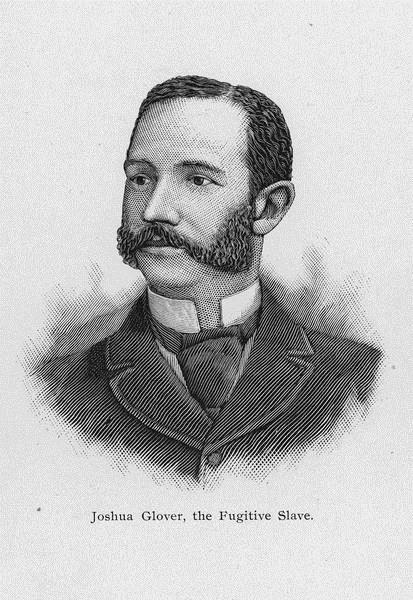 Waukesha editor Chauncey Olin recalled the whole episode in a memoir, and Mrs. A. H. Woodruff, with whom Quarlls hid for two weeks near Pewaukee, offered her recollections in a letter many years later. So did the Rev. S.A. Dwinnell, who hid her for a time in Walworth County. The longest and most detailed memoir is that by Lyman Goodnow, who actually drove the wagon by night from Wisconsin to Detroit. Olin's 75-page memoir includes the only known photograph of Quarlls as well as letters from her and a printed version of Goodnow's recollections. Wisconsin's best-known fugitive slave incident was the rescue of Joshua Glover on March 11, 1854, from the Milwaukee jail. Glover escaped from his owner and fled Missouri in 1852. He made his way to Racine, where his master found him two years later. Arrested under the federal Fugitive Slave Act, Glover was taken to the Milwaukee jail but a crowd of anti-slavery demonstrators smashed down the doors and rescued him the next day. Glover, like Quarlls, was initially hidden in Waukesha until he secretly boarded a steamer in Racine and escaped to Canada. Waukesha editor Chauncey Olin was also involved in the Glover incident, and recalls the events in his memoir. Also available in Turning Points is the advertisement that Glover's owner placed after he ran away in 1852 and an article that his pursuers published in 1854 that explains why they think it's justifiable to capture him. Other documents from the Glover case include a picture of him, a poster advertising an anti-slavery rally, and the memoir of the immigrant bricklayer who actually seized a nearby beam and helped smash in the doors of the jail. Quarlls and Glover are only the most famous escapes along Wisconsin's Underground Railroad. There were at least 100 others, but accounts of their experiences are scarce. Several courageous escapes were documented in the 1890s by historian John N. Davidson, and Underground Railroad "conductors" A.P. Dutton and Maximillian Heck offered manuscript reminiscences during the same decade. 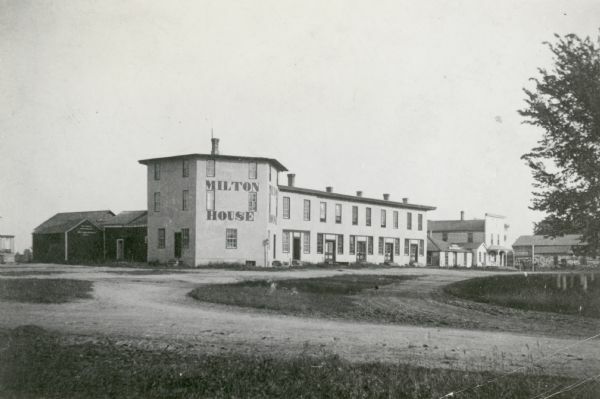 Research shows that the Milton House, near Janesville, had been used extensively to harbor escaping slaves as well. The following lesson plans give basic facts, suggested classroom activities, discussion or writing assignment questions and live links to primary sources. They can be used with elementary-, middle- or high school-level students and focus on events that happened here in Wisconsin.